The dynamic chef duo’s newest project doesn’t involve sous vide egg yolks, crispy-fried pig tails, or elegantly garnished hamachi crudo. You won’t need to navigate a confusing ticketing system to partake either. 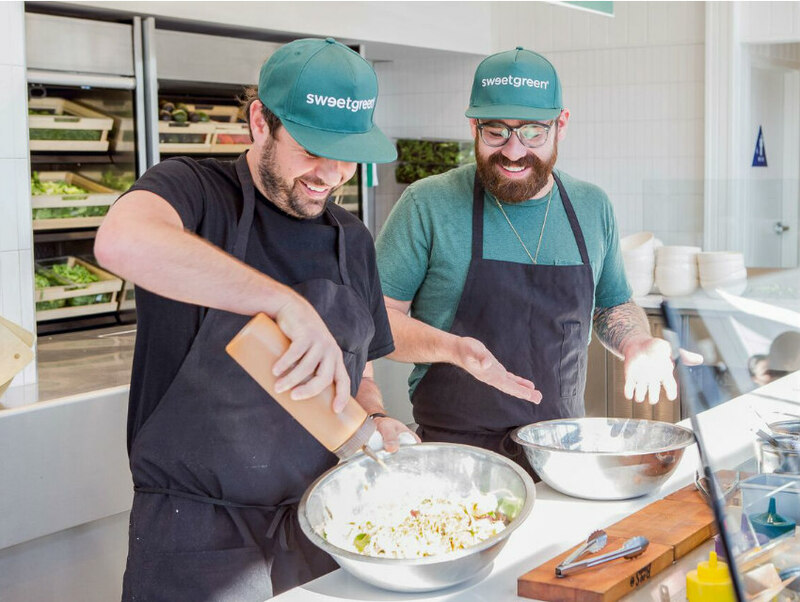 As long as you have a $10 bill (plus tax, so make that an $11 bill) in your pocket and directions to one of L.A.’s two Sweetgreen locations (Santa Monica and Beverly Hills), you can get a taste of Jon and Vinny in a bowl. 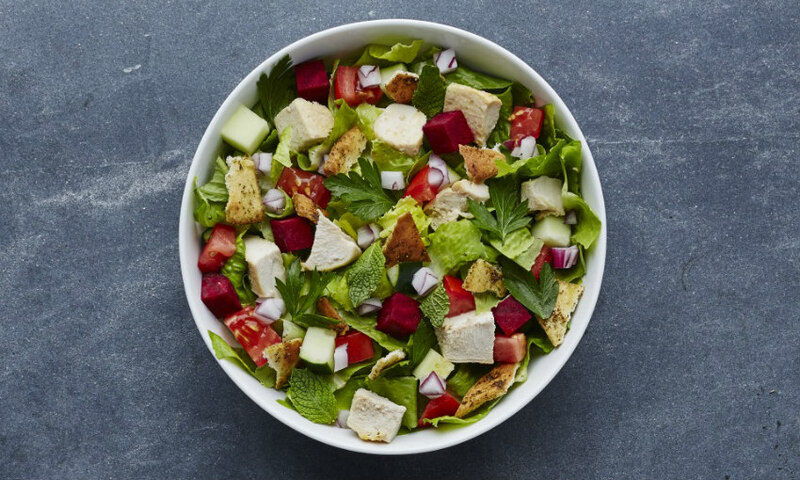 Officially billed as the “Za’atar Salad,” the tag-team effort includes chopped romaine, parsley, mint, diced tomato, cucumber, onion relish, raw beets, roasted chicken, za’atar bread crumbs, and creamy sumac dressing. A portion of the sales will go to their local partner for “Sweetgreen in schools”, the company’s charity that educates kids about the importance of healthy eating, physical fitness, and sustainability through hands-on workshops. You can’t beat this win-win situation: eat delicious and healthy food and help educate some kids. The Washington D.C.-based salad chain that stakes its name on sourcing local organic ingredients is no stranger to high-profile chef collaborations. In June 2014, Sweetgreen teamed up with David Chang to bring his naturally fermented hozon salad dressing to New York outposts, and earlier this year they debuted a salad made entirely from food waste to support chef Dan Barber’s revolutionary pop-up WastED. Even though Animal, Son of a Gun, Jon and Vinny’s, and especially the 24-seat Trois Mec are buying much smaller quantities from those farmers—and generally get their more rare ingredients from boutique farms—it got Jammet thinking about the concept of scalability. By making a $10 chef-driven recipe prepared with well-sourced ingredients and served in a fast-casual setting, they’re able to get food to a high volume of people. This is the first large-scale collaboration that the chef duo has done, other then selling Son of a Gun’s prepackaged beer batter mix through Williams-Sonoma. Though they don’t have any plans to jump into the fast-casual game—like José Andres recently did with Beefsteak—they said if the right structures were to fall in place, don’t rule it out.